The Tower of London is located at the eastern boundary of the City of London, adjacent to the River Thames and Tower Bridge. By pre-purchasing your ticket online, you can bypass the long lines by using the "group ticket" counter. It's fast and simple. We recommend 3 hours for your visit. Experience the Tower of London’s long and stormy history. Make your own way to the Tower and enjoy priority entry through the group entrance. Once inside, explore independently, take an audio tour (additional fee) or join a 1-hour guided tour led by a Yeoman Warder or ‘Beefeater.’ Yeoman-led tours depart every 30 minutes from the Tower entrance. 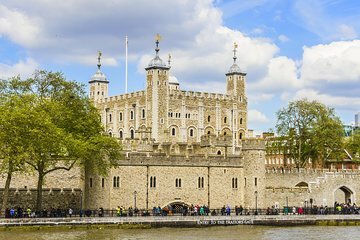 Learn the Tower’s origin story of 1066 and how it evolved from William the Conquerer's stronghold to a royal palace, armory, royal mint, prison and gruesome execution place. To see even more, consider upgrading to the flexible and convenient Royal Palaces Pass. Valid for two years from purchase, this pass offers priority entry to the Tower of London, Hampton Court and Kensington Palace. Explore some of England’s grandest landmarks at your leisure. Interesting and beguiling. The crown jewels are something to behold. Very historic and interesting. You can stay as long or short as you like. Great view of tower bridge as well. Easy to get our ticket- you will have to go to the ticket area to get a ticket before entering FYI. The tower of London is amazing- make sure you have a few hours at least to go through it all. To be honest, I am not sure what the Beefeater part entailed- We didn't see any of that and it really didn't explain it. I do recommend this to anyone going to London. I loved skipping the long lines! A must see the crown jewels are impressive! Totally worth a visit! Beefeater tour was fantastic! They leave every 30 minutes, so easy to catch. Crown Jewels are beautiful! Good if you go there in high season and you don't want to stay in lines. Wonderful tour! 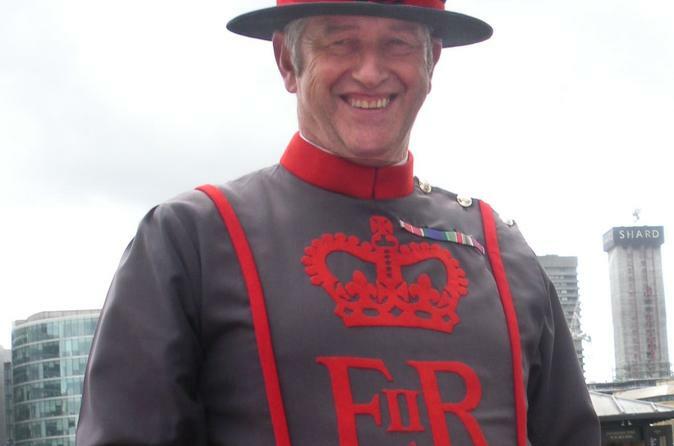 The Beefeater who gave our tour had a wonderful voice and had us all laughing at his antics. The crown jewels were so beautiful. The whole tour was so interesting. I highly recommend it! Very Cool. Would get to Crown Jewel Line early. We waited 10 Minutes, but later in the day the wait was 1 hour. A must do for any visitor to London. Make sure to do the Beefeater guided tour - ours was fantastic and each time you learn something new. Having this ticket purchased before our trip was the cat's meow! We still needed to stop by the ticket office - but we got to go in a much shorter and quicker line to exchange our voucher for the actual tickets. I highly recommend the Beefeater Tour - you get to go into the Chapel and hear history. The Crown Jewels were awesome to see, as was the Bloody Tower. I highly recommend Viator before you go! !